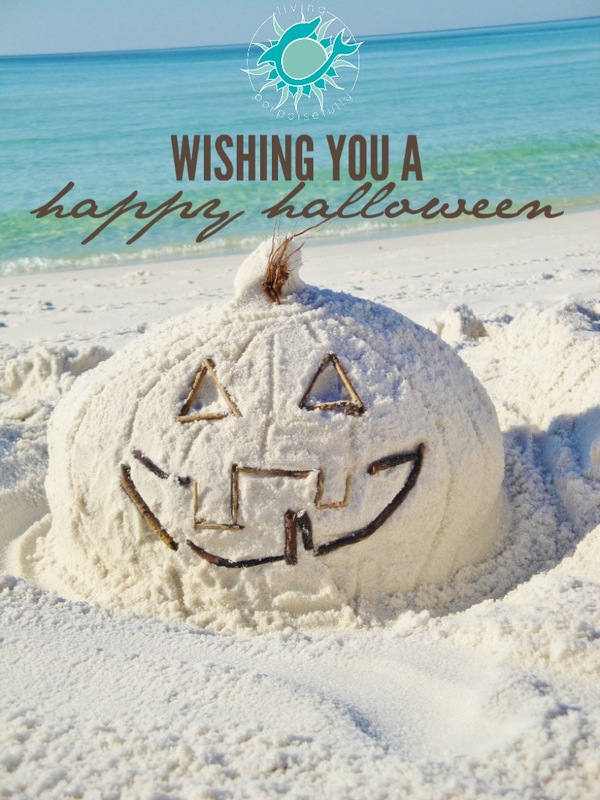 We wanted to start off your Halloween week with wishes for a happy Halloween, beach style! The soft white sand of the beach at Sandestin made for the perfect chance for us to create a sand sculpture of a Jack-o’-lantern, no carving knives required. There’s nothing like playing in the sand to bring out the inner child in all of us! The seaside scenery and comfortable fall air seemed to bring out the joyful bliss even more. We hope you enjoy our creation and will spread the beachy love to someone who would enjoy a smile.